City Room Rentals scoops ‘Spirit of EIE’ Award! 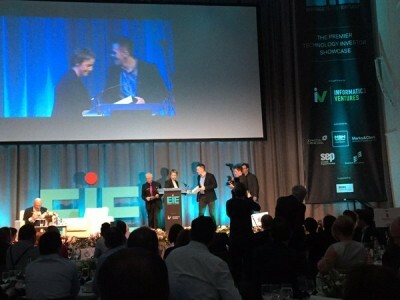 EIE16 attracted over 160 investors from Scotland, the UK, Europe, Asia and America and included corporate venturers, venture capitalists, business angel syndicates and high net worth individuals and gave the country’s brightest entrepreneurial start-ups the chance to pitch to a hall full of international investors. 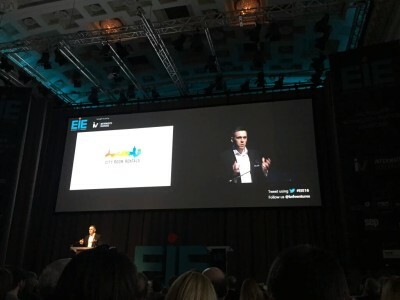 Organised by Informatics Ventures, EIE has grown into the largest investor showcase of its kind in the UK and has been the mechanism to more than £350million of funding since commencing in 2008. • EIE16- Full day from 7am until 11pm with networking, pitches and dinner awards ceremony. The build-up events commenced just after Christmas and took around 1 day a week away from the business, future companies considering applying for EIE17 should consider this time commitment. For businesses serious about scaling globally there is no better place to showcase your company to an international investor audience. City Room Rentals utilised the event and exposure to update investors about its continued growth and to open up talks to take the successful business model into Key European cities in 2017. Stay tuned for further updates from City Room Rentals as the year progresses. Please feel free to contact us for any further information or discussions on business services.